Are you ready to become the hospital of the future? Not surprisingly, the hospital of the future will require technology solutions like telehealth to meet growing patient demands for remote access to health information and providers. While technology will ultimately help provide better care, it will undoubtedly change the day-to-day roles and responsibilities of IT teams, executives, and clinicians. If hospital executives and providers want to be successful in the changing healthcare climate, they will need to take an interdisciplinary approach to care coordination and internal communication, working across all departments. The hospital of the future won’t be the hospital you grew up going to, but with all the promise technology can bring – improving the patient experience and driving down costs – that might be a good thing. Here is how we see the provider climate evolving and what that means for the day-to-day roles providers will have to play. In today’s hospital, IT teams are in charge of driving innovation and making the technology decisions. IT teams are working on the forefront of change, but in some instances, they seem siloed from clinicians, making the implementation of new technology difficult. 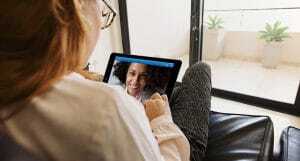 In Avizia’s “Closing the Telehealth Gap” report, 25 percent of respondents cited clinician resistance as the main barrier to implementing telehealth. Since the hospital of the future will be driven by new technologies, IT teams will have an important role to play. IT staff will be expected to take on more of a leadership role and will be charged with working alongside clinicians to help them implement new technologies. In the future, expect IT teams to become an integral part of both the leadership and clinical teams. They will not only drive innovation, but help put it into practice. As the decision makers for their hospitals, executives have the final say on which technologies are implemented and across which service lines. By focusing on the adoption of enterprise capable clinical solutions, technology can help hospital executives with the challenges they may face in the future, including physician shortages. According to the Association of American Medical Colleges, we will face a shortage of up to 90,000 physicians by 2025. 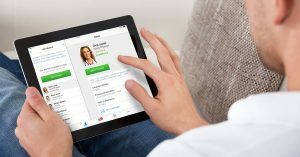 To minimize the impact to your organization, you’ll need to look to technologies like telehealth and remote patient monitoring to avoid coverage pitfalls many executives may face. The good news is that many companies now offer end-to-end, scalable coverage and telehealth platforms. Overall, executives in the hospital of the future will work in a more connected hospital with secure apps and messaging as part of an enterprise-wide care collaboration model. This will enable them to make informed decisions and meet the demands of patient care while improving clinical workflow and clinician engagement. Future executives can expect to have the ability to check the pulse of their entire hospital with the click of a button. Over the past few years, clinicians have faced a number of changes to their daily jobs, from EHRs to ICD-10 to new technologies like telehealth. Sadly, these changes are beginning to have a negative effect on the physicians’ perception of the workplace. According to a recent report from Geneia, clinician job satisfaction is on the decline, with 78 percent feeling rushed to see patients and two-thirds reporting knowing a clinician with job burnout. With more demands on their time, clinicians are hesitant to implement any new technology that does not easily incorporate into their workflow, are difficult to use, or have limited value add. This resistance can end new technology implementation before it even begins. To be successful in the hospital of the future clinicians will need to be engaged in a way that encourages advocacy of technology, not resistance. As part of an interdisciplinary team, that includes working closely with a hospital’s IT team to explain the difficulties of using new technologies and working together to find solutions that can seamlessly integrate into their daily work. In the future, technology will be tailored to meet their specific needs, ultimately allowing them to spend more time with patients and less time with paperwork. 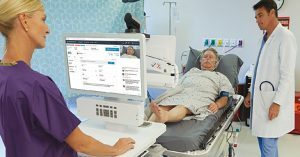 In the hospital of the future, technologies like telehealth will no longer be a “nice to have” but will become an integral part of care delivery. Exciting opportunities that will revolutionize care are just on the horizon, but creating a technology-friendly, and focused mindset in your hospital is the first critical step.